Looking for a great read this summer? Here’s a book review written by George Smith about a book that he thought would be of interest to NRCM members and supporters. Add it to your summer reading list and enjoy! 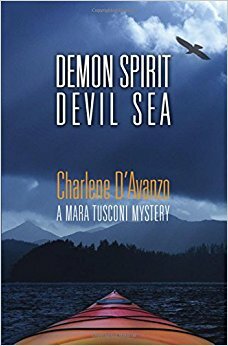 Charlene D’Avanzo writes compelling novels that take you to wonderful ocean-side places where terrible things happen. And along the way, you’ll learn some things about climate change. Charlene is a marine ecologist and award-winning environmental educator who lives in Yarmouth, Maine. Her first novel, Cold Blood, Hot Sea, was an intriguing who-done-it with plenty of tension and a compelling story that kept me glued to the book for two evenings. And her new novel, Demon Spirit Devil Sea, is another great read. Again, I raced through it in two evenings. And boy, now I want to visit Haida Gwaii, the setting for this story. 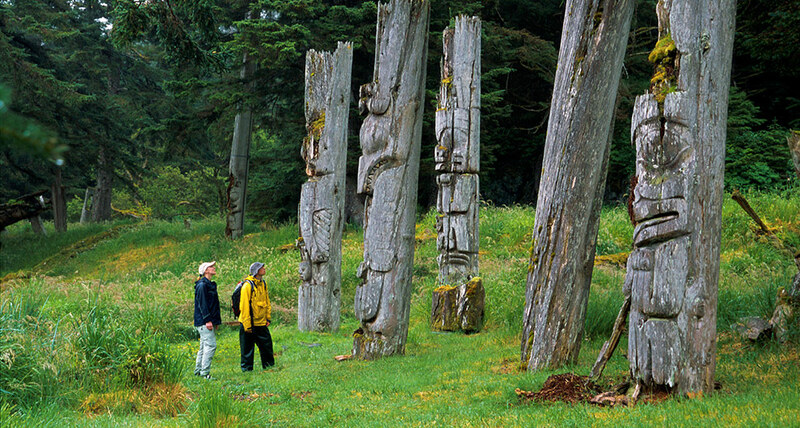 Haida Gwaii is an archipelago on the north coast of British Columbia, Canada, where about half of its population is of the Haida people. In Charlene’s novel, Maine oceanographer Mara Tusconi goes to Haida Gwaii to figure out if a massive dump of iron sulfate actually delivered the things that were promised including reduction in carbon and an increase in salmon. Someone gets killed, Mara nearly drowns twice (and is saved once by a seal), and the intrigue will keep you reading. You may picture yourself alongside Mara, after she is dumped into the very cold ocean by a guy who thinks he has killed her, sitting beside Mara in that cave, wondering how she’s ever going to be found. I don’t want to give away the suspenseful story, but yes, it is suspenseful! Yup, I need to get down there! Yup, I need to fish there! In an author’s note, I learned that, “The story is based on an actual event. With the Haida Nation’s consent, in 2012 U.S. Entrepreneur Russ George dumped a hundred tons of iron sulfate into waters off the Haida Gwaii archipelago fifty miles west of British Columbia. George promised that resulting plankton blooms would enhance salmon numbers and provide money from carbon credits. Neither happened.” Nor did anyone visit Haida Gwaii to investigate the event. There’s a lot more I want to see there, including those very tall carved poles, each of which represents a clan’s achievements, stories, and history. Yes, there’s a lot of history here, much of it heartbreaking. While I credit Charlene with giving us another entertaining novel, I am most appreciative of everything I learned in this novel about Haida Gwaii and its people. —Guest post by George Smith. Read more from George on his Bangor Daily News blog, George’s Outdoor News.